Located a few minutes away from the Raipur Railway Station, Amar Marriage Palace is waiting to welcome you with its brightly painted walls, clean and comfortable rooms. 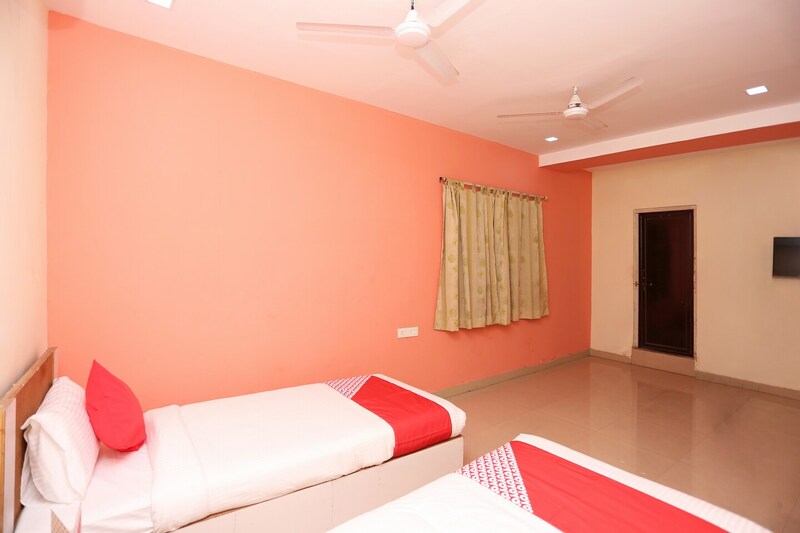 The spacious rooms are done minimalistically, making the stay pleasant for the guests. From comfortable wooden furniture to free internet services, the hotel has all kinds of services one can ask for. Guests can just drive-in as the hotel also provides parking facilities. Power backup is also offered for the convenience of the guests. Just in case if you are planning any celebration, birthday parties, and office get-together, the hotel also has a fancy banquet hall. Guests can be assured of their security as CCTV cameras are installed across the hotel.